(The reason I can’t speak to bell peppers is that to date, I’ve never had one last very long. I have bad bell karma, I guess.) 😉 However, those who have better luck with bells may be able to relate to what I’ve discovered. How long your particular pepper plants live is dependent upon what plant hardiness zone you live in. Peppers are really warm-weather plants, and they can’t handle frost and freezes. If you live in zones, say, 8b to 11, you can probably overwinter your peppers outside. You may need some frost protection from time to time, but if you can do that, it’s a possibility. North of 8b, you’ll have to overwinter your plants in containers inside. If you have a heated greenhouse, that’s the best option. Otherwise, inside with grow lights is what you’ll need to do. Why Bother Keeping a Plant Alive? Good question! Typically, I don’t bother with “everyday” plants — those peppers that I can easily grow from seeds or find at a local big box store. However, a plant that is harder to replace, or one that has produced extraordinarily for you, may be a candidate for keeping alive. 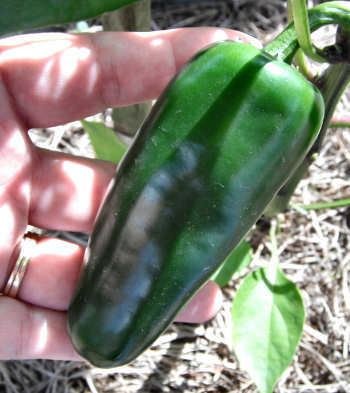 For example, I really enjoy the Fooled You jalapeno pepper that I grew a couple years back. It’s a hybrid, so I can’t really save the seeds. This time, if one of my plants (I have three seedlings) is outstanding, I am going to try to keep it going. How do you prepare your peppers? Be prepared for some “tough love” in order to overwinter. If you can routinely expect more than two or three freezes in a winter, you’ll need to uproot your pepper and put it in a container you can manage to move around; probably between a 3 to 5 gallon container. If you are already container growing and can move the container inside, you’re a step ahead. If you’re digging the plant up from the ground, you will need a container ready, along with some loose but rich soil ready. You’ll have to do the uprooting carefully. If your plant is big an unwieldy, you may want to lightly prune – enough so that you can easily handle the plant. Use a shovel to dig in a circle around the plant, starting about a foot away from the stem. Put some of the prepared soil into the container to about 1/3 the depth. Put the plant into the container and back fill with more soil. Give the plant a light watering, and place it where it can get some morning sun — you don’t want to give it too much sun until it’s settled into the container some. A few days after your transplanting, or, even if your pepper plant is already in a container, it will need a haircut. Why? The light available to your plants in Winter is much less than in any other season (in the northern hemisphere, anyway). Inside, your pepper plant will get even less light, unless you have a very bright grow room. 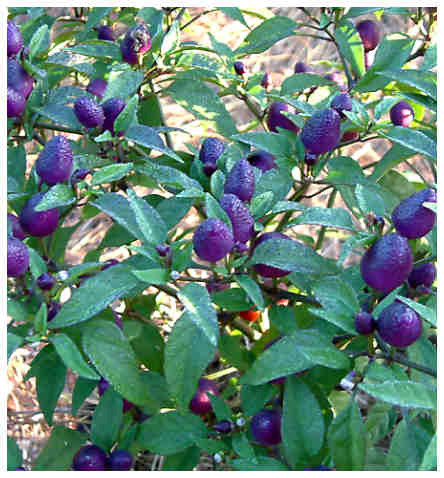 Your pepper plant will need fewer leaves to support while it’s in a lower-light and cooler environment. How far back should you prune? Half its height is a good place to start. 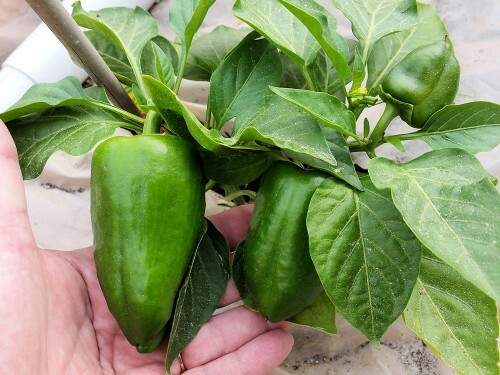 I’ll have a post about pruning peppers in the near future; I’ll link to it when I have it ready. As you might guess, your pepper plant will need as much light and warmth as you can manage, once it’s acclimated to its re-potting and pruning. Your pepper will appreciate temperatures in the low 70s, and still would like 6 hours of direct sun. Since that may not be possible unless you have a greenhouse, you will probably need to supplement with some plant grow lights. But Really — How Long Do Pepper Plants Live? In containers, you may be able to keep a plant going for several years. In-ground (if you are in zone 10 or 11), it could be indefinitely. In any case, you will need to decide how long your want to keep your pepper plant going, and that may depend on how well it keeps producing. Hope this has helped some! I think I’ve got my lineup set for this year, pepper-wise. I am probably growing far more than I should, and will be overloaded with fruit, but I have neighbors who wouldn’t mind a few peppers from time to time. So what’s in store for 2016? I have a post where I describe my showdown with the Ghost, Scorpion and Reaper peppers. This is a showdown that will last all year, so subscribe for email updates to keep up with what’s going on with them. But, I don’t just have them growing — let’s take a look at what else is in the garden. Red Bell Pepper — It Already Has 3 Peppers! Red Bell: As the name suggests, a red bell pepper — no special variety. It’s a nice compact plant that already has rather large peppers on it! I’ll actually have to pick the largest this week or next, to give the plant a chance to grow some more. Orange Bell: I have two of these plants, which are tall and lanky. They both have peppers on them, but I may have to give one of them a pruning, just to compare a pruned plant against an un-pruned. Seems like an interesting comparison. Big Bertha: Another bell pepper, and this one supposedly has huge fruit. It will be interesting to see how the fruit compares to the other bells I have growing. Shishito: Somewhere between a mild (no heat) and a hot. I hear that most of the fruits have no heat to them, but then every once in awhile, one of the peppers has some kick to it. It also has a pepper already — doesn’t look anything like the bells — it’s more of a small pepperonici as far as general shape goes. Havasu: I had no idea what it might be like when I bought the plant start, but I figured with a name like Havasu, it was bound to be at least a little on the spicy side. I finally got around to looking it up, and it’s kind of a stubby banana pepper in shape, and a mild heat. The plant was looking kind of spindly, so I gave it a pruning and it’s coming back beautifully! Cowbell: I believe this is supposed to be like a thicker cayenne, along the size of my Yellow Cayenne from the last season I grew peppers. I imagine it’s probably along the same hot-ness as most cayenne fruits. I already gave this one a pruning as well, because it was really lanky. It’s coming back fine, but not as quickly as Havasu (which I pruned at the same time). Jimmy Nardello: A big, sweet pepper. I grew this several years back and thought it was time that I tried it again. Mama Mia Giallo: The variety I am growing ripens to yellow, and is supposed to be very sweet. And also quite large! 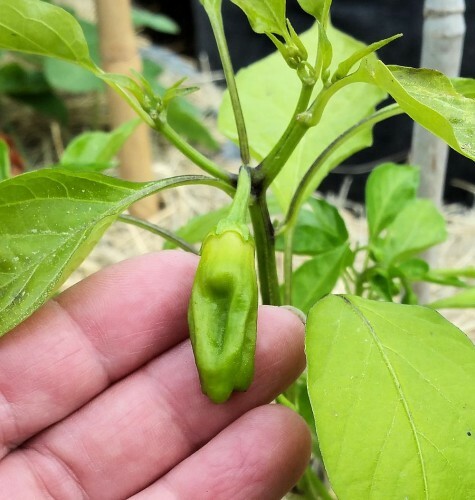 Fooled You: This is the no-heat jalapeno I grew in the greenhouse, that succumbed to the black mildrew (or whatever it was). Since I am growing it with better air circulation this year, it should be fine. The peppers were tasty! I might also grow Giant Aconcagua; still trying to decide. I grew that one a few years back as well and it really does produce extremely large peppers for me. I guess it depends on if I have enough space in the garden. I still have a lot of tomatoes, not to mention some strawberries, cukes, summer squash, bush beans, peas, collards and honeydew. Now that I think of it — I won’t have a ton of room! But one of the tomatoes is a determinate, so that space should be available by the time the peppers I’ve planted from seed are ready to move outside. The container with the peas (which is 25 gallons) will also be available – I can easily put two pepper plants in there. The collards will also be done, so two more containers! Anyway, I’ll be providing updates, so stay tuned. As more of the peppers start producing, I’ll start doing some video walk-throughs as well. Catch up more with you later!